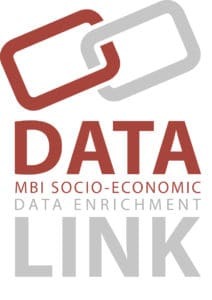 MBI has a global and strong network of partners. One of the most rewarding parts of business is building lasting partnerships. We believe in our partners and they play an integral part in our vision. Together with our partners we offer you the best solutions. Please contact our local partners and take advantage of the same language, time zone or currency. Asterop’s expertise is dedicated to the improvement of the companies’ network’s performance. Based in France they assist their customers from their strategic thinking to the full deployment of operational action plans. 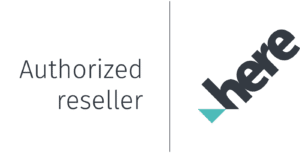 From an Omni-Channel approach to the optimization of channels’ synergy, Asterop helps firms to identify new Point-of-Sale concepts, improve their distribution network and adapt their local offer accordingly to the demand. The expertise of Asterop is based on a 16-year experience and the mastering of the four pillars of decisional geomarketing: consulting, methodology, edition of value-added data and technological solutions. This unique synergy makes it possible to provide the optimum responses on development, marketing and sales performance issues to all actors in various industries such as retail, distribution, the media, banking, insurance, and the public sector. Geomarketing, Location Intelligence and Predictive Modelling with data and services. CONIAS Risk Intelligence (Conflict Information and Analysis System) was established in 2015 as a consulting company providing in-depth analysis on political violence and conflicts worldwide. Having its roots in the quantitative conflict research conducted for some 20 years at the University of Heidelberg, CONIAS turns data into knowledge by systematically integrating reported incidents into conflict systems. Covering more than 1,800 distinct ongoing and recent political conflicts, we inform clients about actors involved, contentious issues and the way conflict parties manage their disputes on sub-state level – from political statements to full-scale wars. CONIAS updates these datasets on a monthly basis through intense media and literature screening and data aggregation. Data-driven solutions, such as the Subnational Resilience (SURE) and the Subnational Safety (SUSAFE) datasets, help clients to timely assess both current and structural risks to travel safety, investments and supply chain networks. CZECK REPUBLIC | CSmap s.r.o. CSmap is a czech software company established in 1995. CSmap has long-time experience with geographical information systems (Location Based Intelligence) MapInfo and its implementation in various types of industries from telecommunications, retail companies to public sector. Business activities of the company cover both Czech and Slovak republic and wide porfolio contains software delivery and development, geographical data and professional services. UNITED KINGDOM | Europa Technologies Ltd.
Europa Technologies is an award-winning map data manufacturer and hosted services supplier based in the UK. Their clients include organisations such as Google, UK Government and leading commercial companies around the world including the insurance and telecom sectors. Their digital maps of the world are essential to organisations implementing global Spatial Data Infrastructures (gSDI). NETHERLANDS | First Element b.v.
First Element was founded in 1990 in the Netherlands as supplier and developer of relational database systems. Since 1994 the focus of the company has been mainly in the area of Geographical Information Systems (GIS). First Element has been partnering with Pitney Bowes Software for over 20 years. They develop GIS solutions for government and commercial businesses with specialist knowledge in the Police, Retail and Real Estate markets. First Element is situated in Delft and member of various branch and knowledge organizations such as ICT-Kring Delft, VNO-NCW West and Delft Design. Knowledge areas: LI2A – Location Information Intelligence and Analytics. Geomarketing/Retail solutions: location planning, business planning, sales territory planning and market research analyses. Public safety: crime analyses solutions for web and desktop. 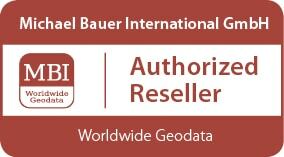 GeoMarketing GmbH, Austria, is engaged for over 15 years with the creation and processing of spatial data. They offer both basic data and tools to use them and see themselves primarily as partner, consultant and service provider for their customers. They work on the basis of standard products, custom solutions and implement these project-oriented. Analysis, processing and matching of data as well as project development and implementation are in good hands with them. HERE, a Nokia business, is offering the world’s best maps and location experiences across multiple screens and operating systems. HERE inspires a new generation of location services and devices helping more people to navigate their lives with ease and confidence. Built on more than 25 years of experience in cartography and drawing on more than 80,000 sources of data, HERE offers “Maps for Life” for more than 190 countries, voice guided navigation in 95 countries in more than 50 languages and live traffic information for 34 countries. LeadDog Consulting researches, validates and licenses GIS vector maps and imagery from the world’s leading suppliers. Based in Alaska, USA their worldwide spatial data network includes streets, roads, street addresses, points of interest, demographics and postcodes. Lutum+Tappert DV-Beratung GmbH, Germany, has over 30 years of experience in geomarketing, developing standard software and providing customized solutions for marketing, sales and controlling. Lutum+Tappert is specialized in offering components of a geomarketing-system, such as digital maps, market and company data and appropriate software. The company also offers a high level of consulting and advisory services. Lutum+Tappert integrates digital maps in Management Information Systems and has an impressive track record in geomarketing projects, market analysis and sales innovation. Their services include design and production of customized organizational and location maps and also web mapping services. As a leading specialist in consumer marketing, microm brings you closer to your customers. With considerable consulting expertise and comprehensive knowledge of end-consumers and target groups, microm helps to establish and upgrade successful customer relationships. The company´s strong points are analyses of customer and market structures and the optimization of innovative target group marketing – from the acquisition of new customers to the reactivation of existing ones. Pitney Bowes is a global technology company that powers billions of physical and digital transactions across the connected and borderless world of commerce. They deliver innovations that help clients navigate the complex and always evolving world of commerce – from helping them use data to market to the best customers, to efficiently enabling the sending of parcels and packages, to securing payments through statements and invoices. Their business enables transactions in commerce through five key areas: Customer Information Management, Location Intelligence, Customer Engagement, Shipping & Mailing and Global Ecommerce. we::nXt is a management consulting firm specialized in Sales and Go-to-Market acceleration, helping Scale-Up companies grow to their next stage of development. we::nXt is exclusively focused on a few specific Tech verticals: Cloud, Artificial Intelligence, Location Intelligence, and Smart Mobility. we::nXt is a firm comprised of former sales and marketing leaders, who have extensive experience in sales leadership with high-tech companies. 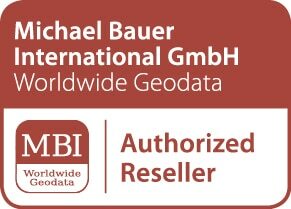 In addition to its Sales Acceleration services, we::nXt distributes MBI GeoData to help its customers implement best-in-class Geomarketing solutions.